Don't hate April Fools' Day, embrace it! 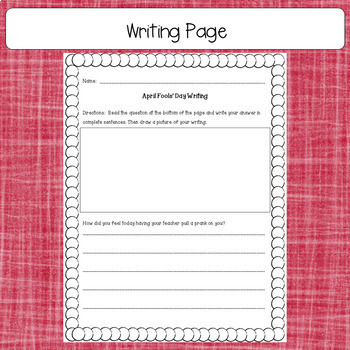 This FREEBIE will allow you to harmlessly pull a prank on your students and have them write about it. 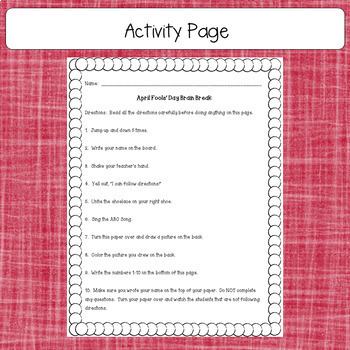 Brain Break Worksheet - If students read the directions carefully, they will not have to complete any of the activities! 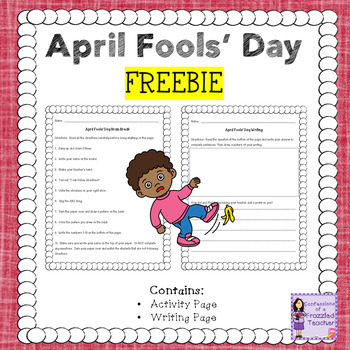 Find more freebies in my store by clicking HERE!